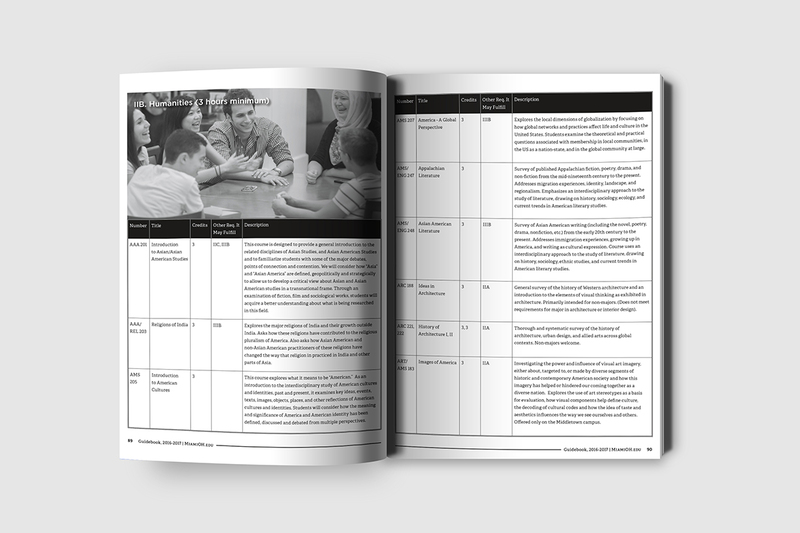 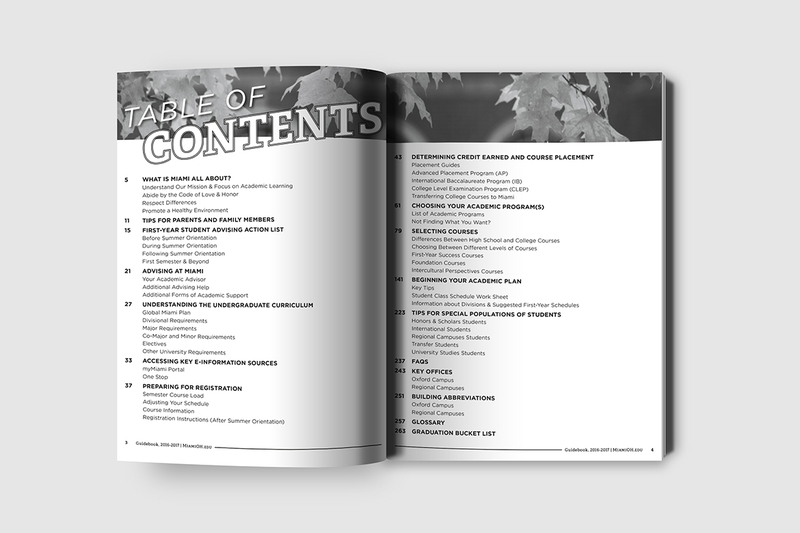 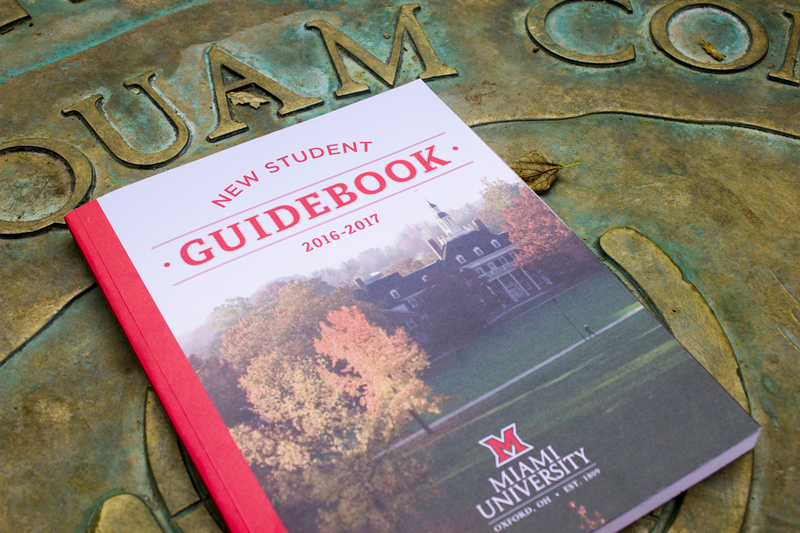 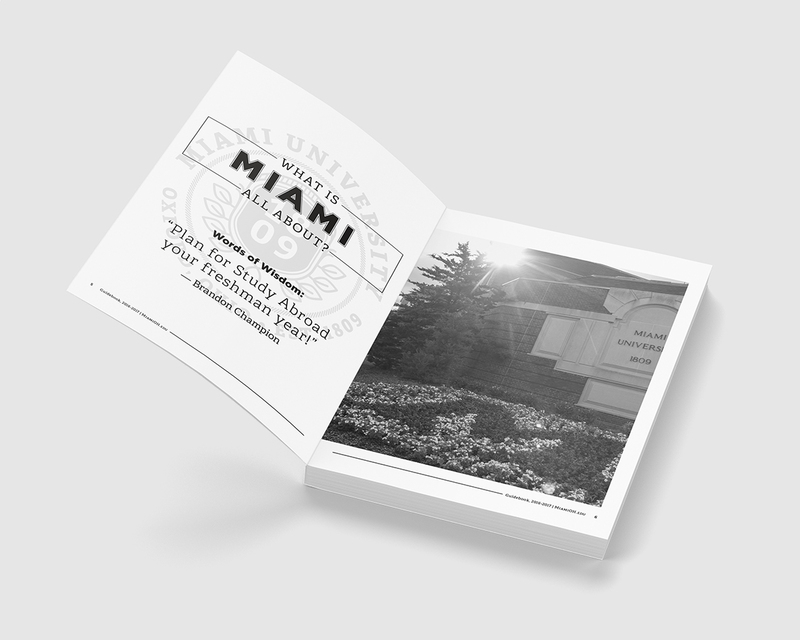 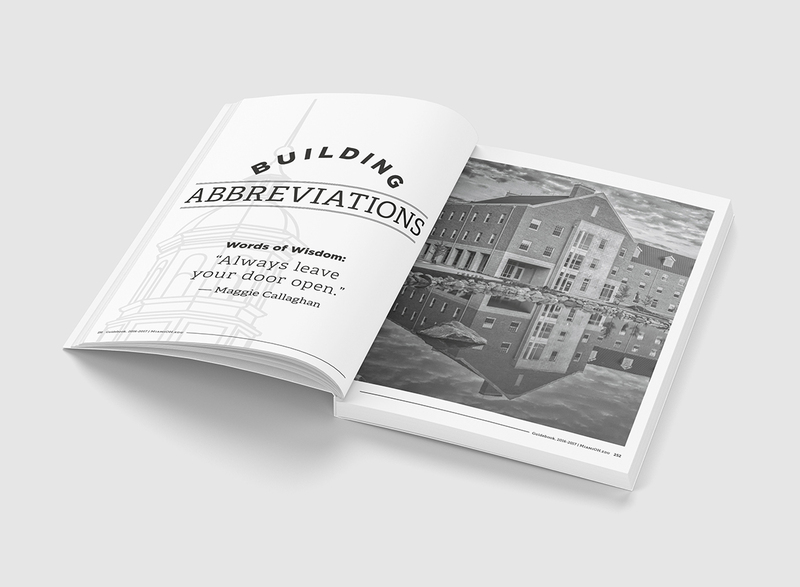 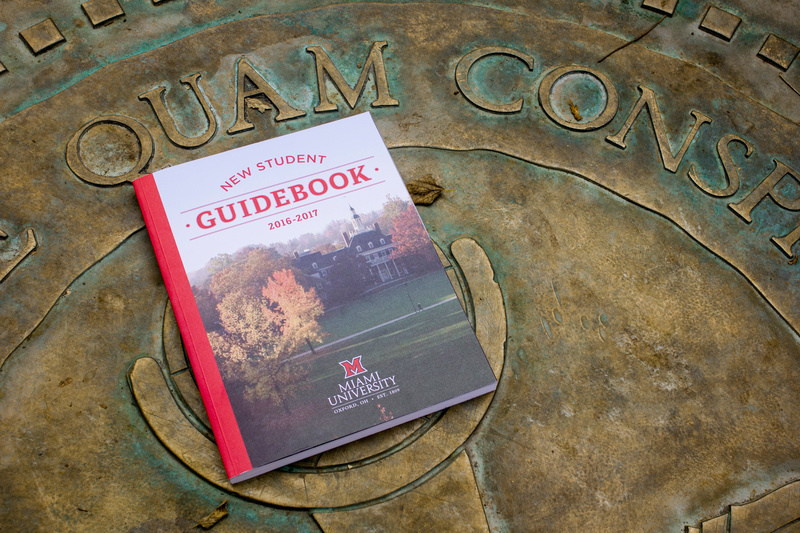 The New Student Guidebook is a substantial publication produced each year for incoming students, containing important information such as an introduction to the culture of Miami University, advice for students and parents, and guidance on university processes and procedures. 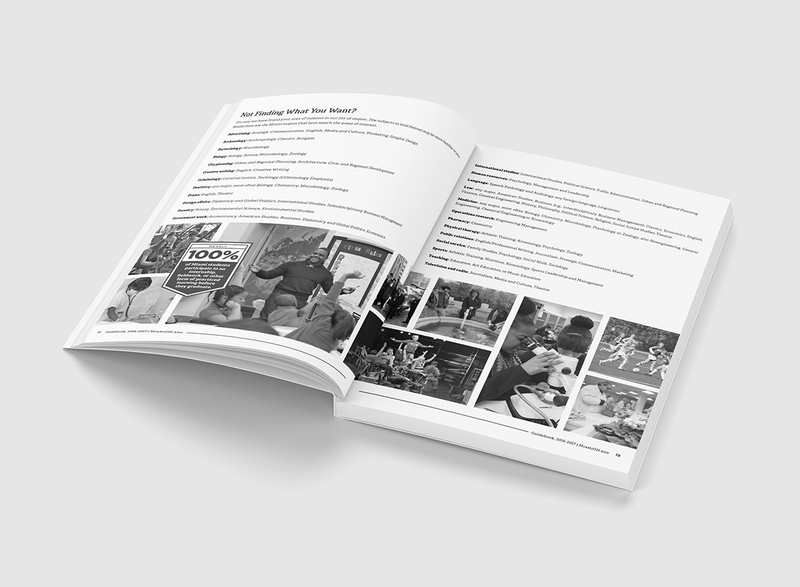 I was responsible for a complete overhaul of the design, which had not been tackled by an in-house designer in previous years. 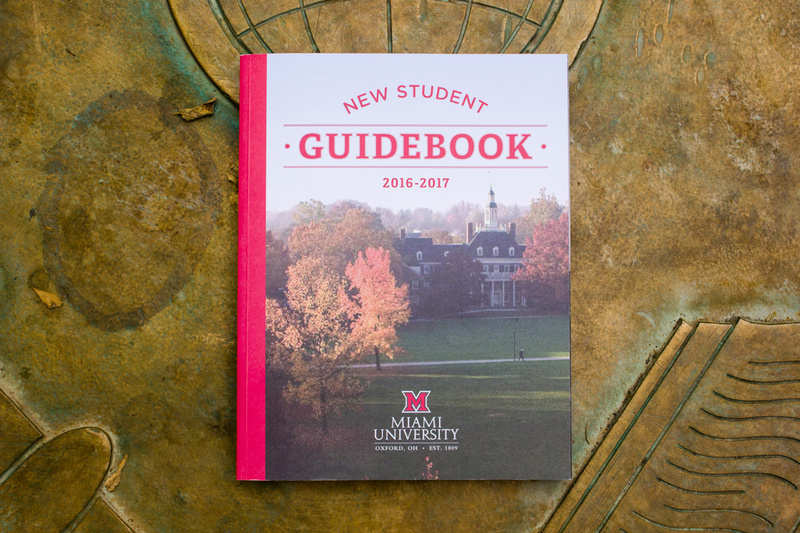 The piece was limited by budget, so it was printed with a four-color cover and a black and white interior.